I was back up to 178lbs this morning. I missed my target by a few pounds. I'm attributing it to the fact that I'm working out more. Ray Cronise told me that working out can not only slow down weight loss on the potato hack but can stop weight loss. So far I've proven him right. We will see what a normal diet with no over consumption looks like on Monday. These are a couple of different varieties of sweet potatoes from Whole Foods. I wasn't able to eat both of these in one setting. I ate half of the red one and half of the golden one. 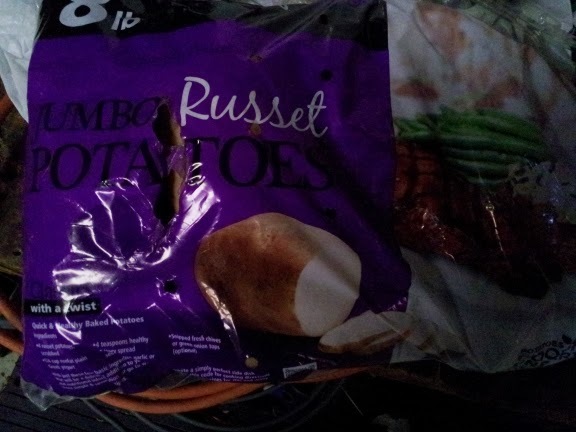 The golden one tasted more like a regular potato than a sweet potato. They were both good though. 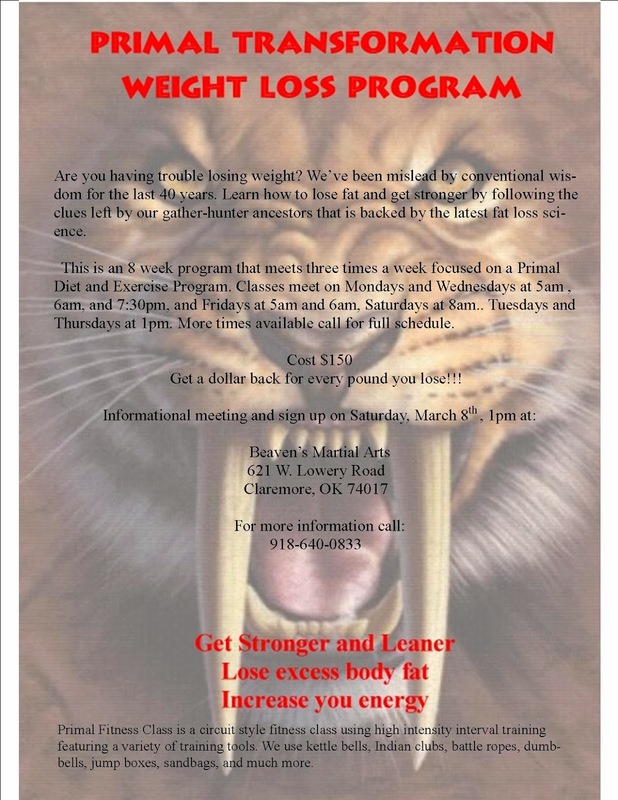 The next Primal Transformation kicks off on March 8th, 2014. I weighed 177.5 this morning. It must have been that Starbuck's latte. 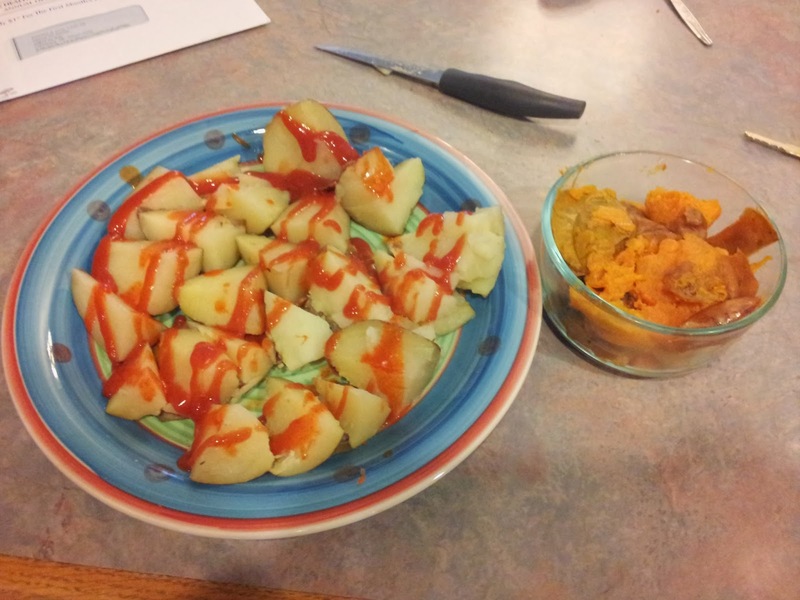 :-) I had my leftover potato wedges in addition to the items pictured below. My plan for this weekend is to not over consume. The last two weekends I purposely over consumed to see what the results would be. I do have a birthday party this weekend but its for my granddaughter so it won't be too wild. The last of the big red yams. 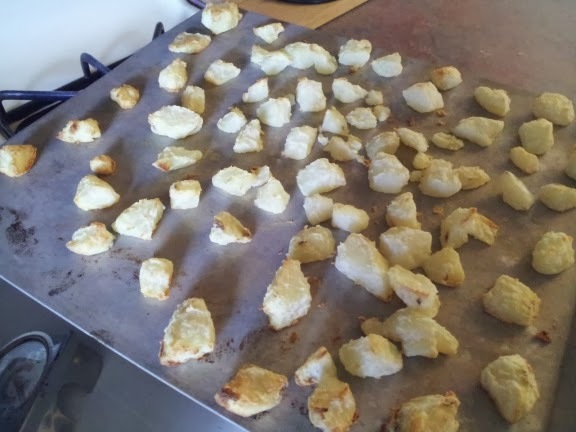 I think I will go to Whole foods some time soon and get a variety of potatoes. 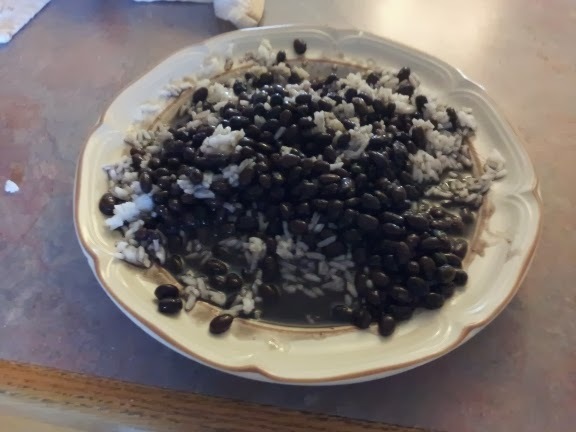 2 cups of rice and a whole can of beans. That's a lot of beans. That's a lot of beans right there. Another lady makes it to the top of the rope. Tonight at the Primal Fitness Class Monica made it to the top of the rope. We are getting ready for the Spartan Race in May. I bounced back up to 178.5 this morning. We'll see what I weigh tomorrow. I ate a lot of tators yesterday. The last meal was about an hour before bedtime. I worked out twice yesterday. 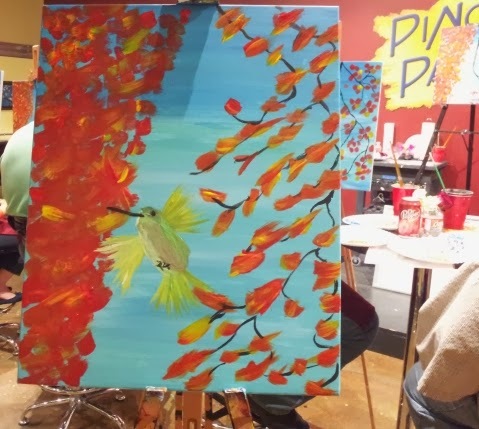 Those are a couple of things I did differently. I had some boiled potatoes rolled in rice flour. I ate these with ketchup. 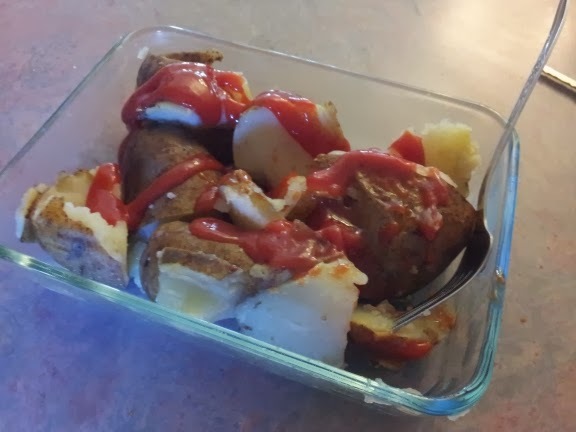 I had this Red Yam that I bought at Sprouts for lunch. 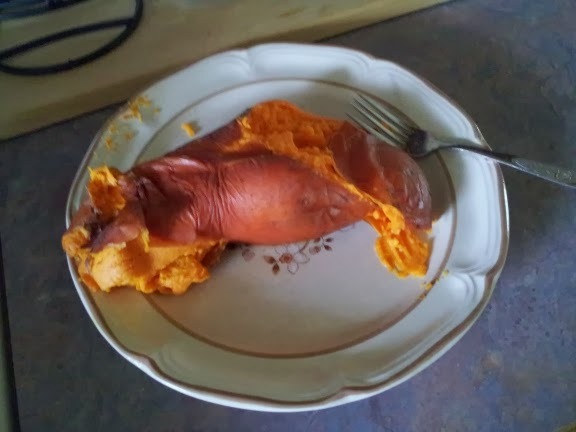 It tasted just a little bit different than a sweet potato. 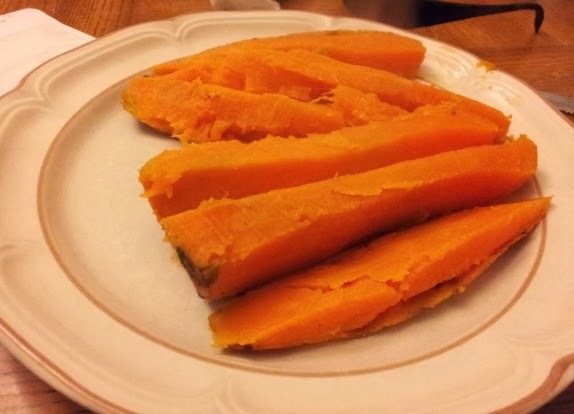 The syrup that baked out of it was a different color than the syrup from a sweet potato from Reasor's. 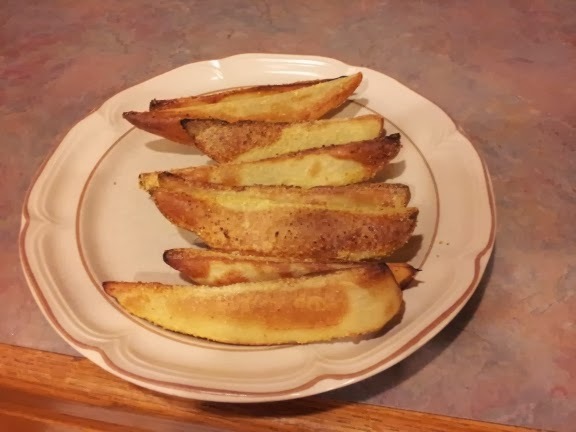 I also dipped these wedges in different sauces . 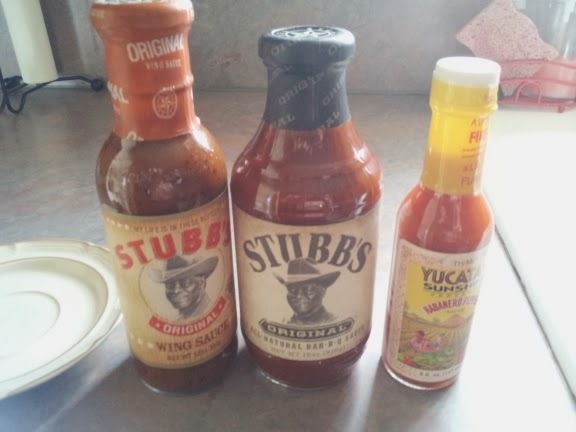 I tried some wing sauce,barbeque sauce and some hot sauce. 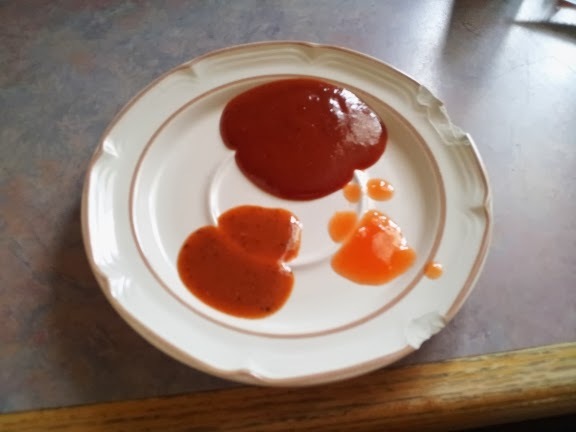 I didn't care much for the wing sauce or the barbeque sauce. The hot sauce was good. but I mixed it with some Cholula hot sauce too. 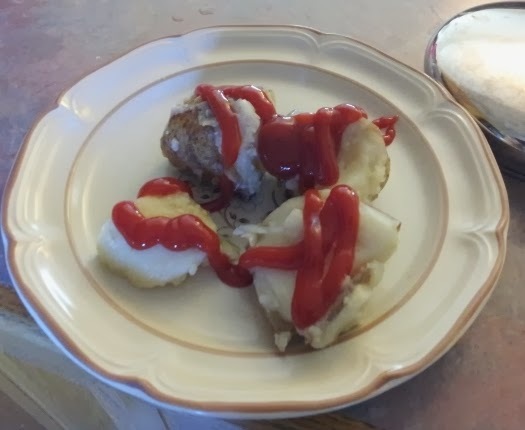 I also had some ketchup with the wedges. I'm almost recovered from the weekend. Today my weight was 176.5lbs. That is still .5lbs over my lowest point last week. My goal for this week is to me down to 172lbs. Can I make it? We'll see. 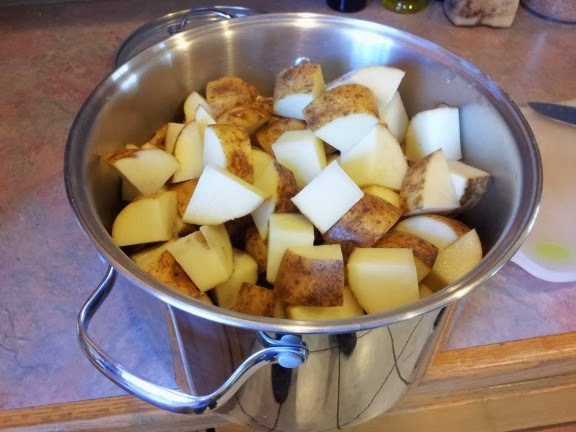 Typical results on the potato hack are .5 to .8 lbs per day. So if I lose .8lbs per day I should make it to 174lbs. I will be some where between 174lbs and 172lbs by Friday morning. 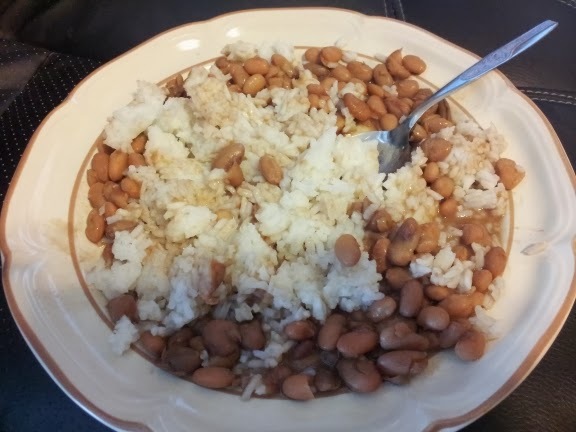 Yesterday was potatoes, rice, and beans. 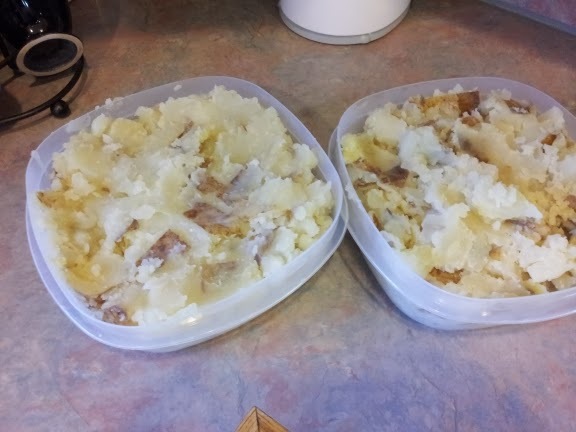 Today will be more potatoes than rice and beans. No pictures of food from yesterday afternoon. 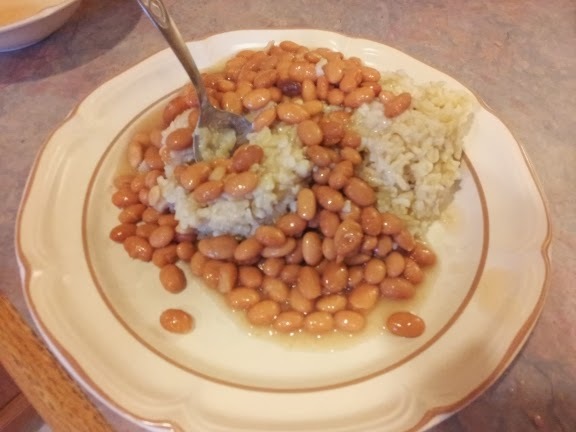 How many times can you look at a picture of potatoes, rice, and beans. 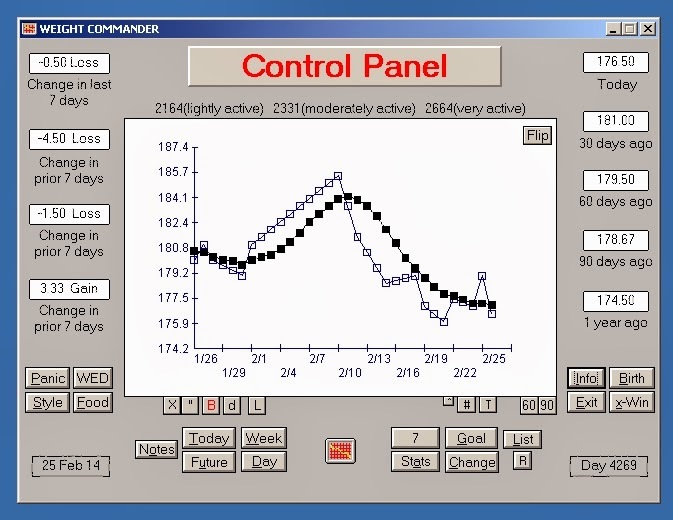 So today's picture is my Weigh Commander chart. It's not hard to see where the weekends are on the graph. The white blocks are my actual weight and the black blocks are the trend. Happy Monday! So I was off the hack Friday evening until today. I weighed in this morning at 179lb. I'm probably inflamed from the weekend. 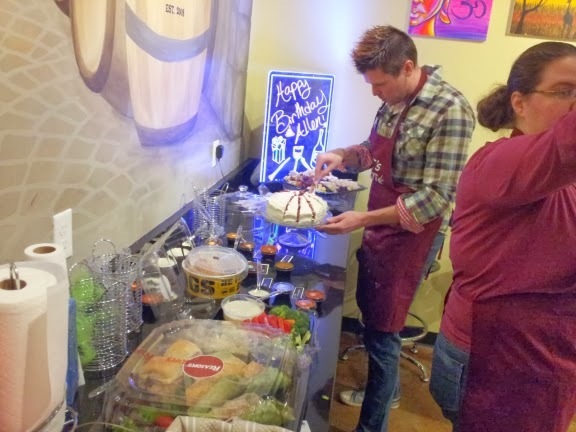 I had a birthday party on Friday evening at Pinot Palette so lots of food and alcohol. I weigh 177 on Sunday but, Sunday evening was supper at Dad and Mom's. 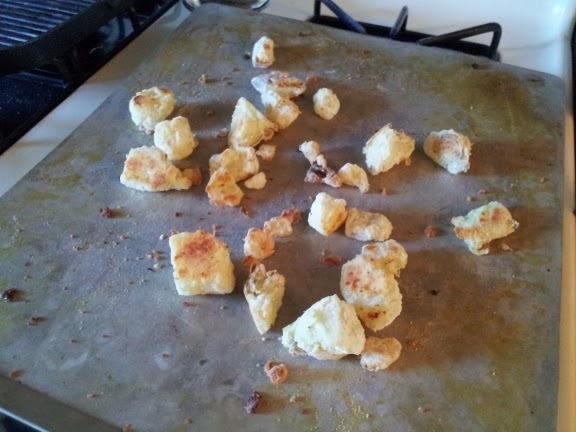 We had fried okra which is definitely not health food. So here is some pictures from today and the weekend. The birthday boy and the buffet. I didn't have any cake. 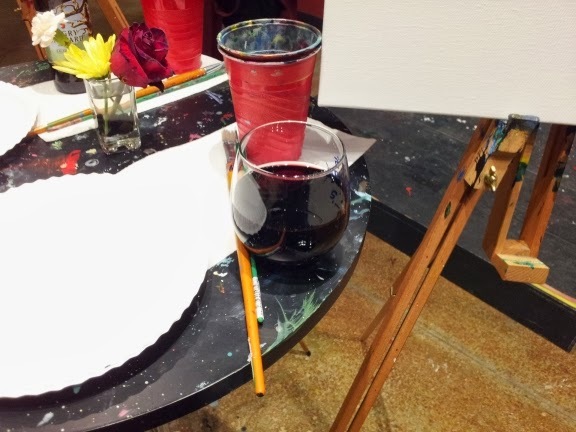 I had the buffalo wing bites and lots of cheese from the tray in the background. Veggies and dip too. 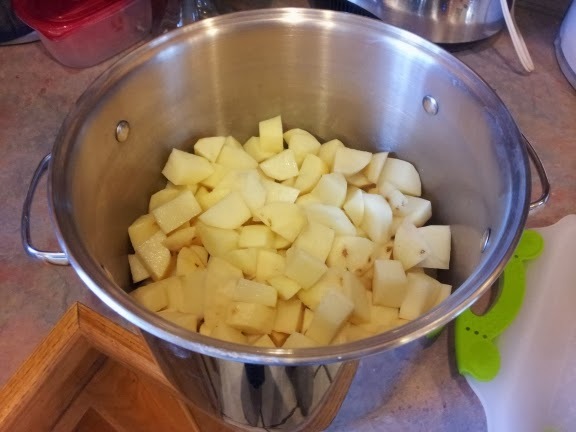 I boiled up 8lbs of tators yesterday so I'd have plenty for starting the week off. 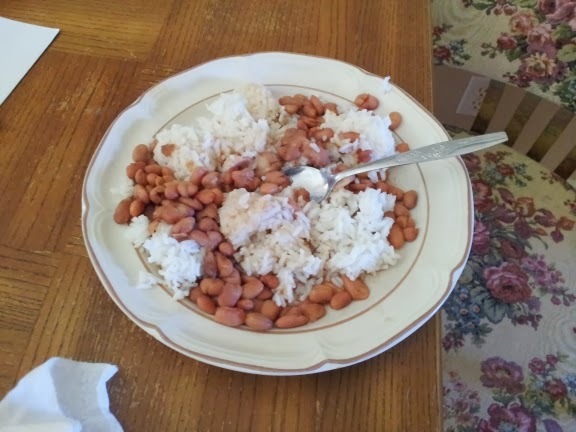 Lunch was rice and beans. This morning I am up a 1.5lbs. I weighed in at 177.5lbs. 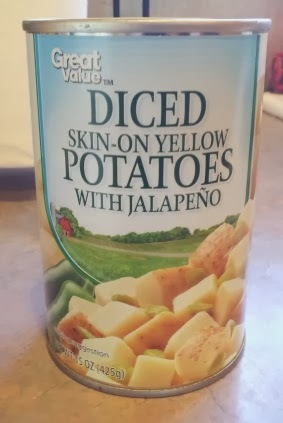 Things I did differently yesterday; ate more sweet potatoes than usual, I had canned beans and vegetables that were really salty, and I exercised more than usual. Then there was the biggie. I couldn't sleep last night. Last week I had insomnia for the first 3 days of the hack. I hadn't had insomnia this week until last night. I went to bed at 9pm. I woke up just before midnight and I couldn't fall back to sleep. I tossed around until 1am and finally got up out of bed to read. At 2am I still wasn't sleepy. I had to get up at 3:50am. So I poured myself a small glass of milk and put a shot of coffee liquor in it. I went to bed and continued to toss and turn. I did drift in and out of a shallow sleep. The sleep was plagued with strange dreams and nightmares. BEEP, BEEP, BEEP, time to get up. BGL this morning was 95 mg/dL on rising. Yesterday BGL's were 97 mg/dL before breakfast. 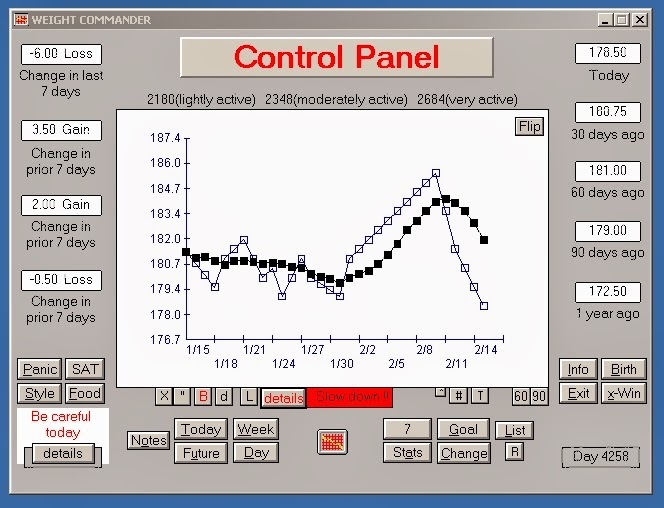 137 mg/dL 1 hour after breakfast and 80mg/dL after 2 hours. 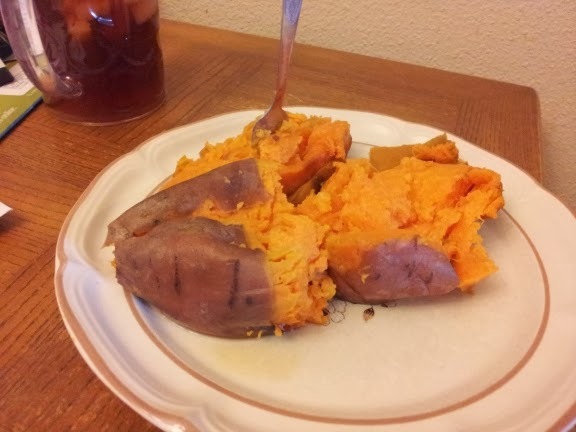 1st meal of the day was 1 1/2 sweet potatoes. 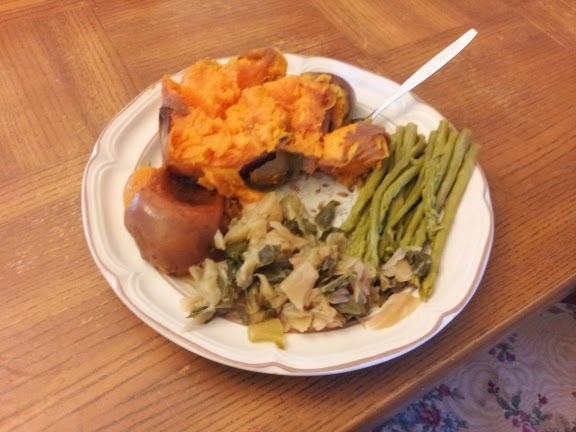 Lunch was sweet potato with cabbage and asparagus. 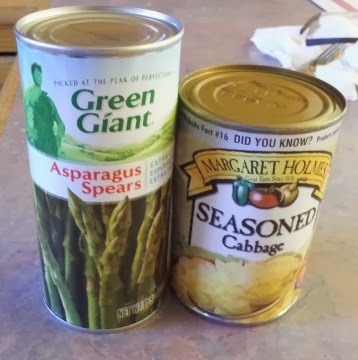 I cabbage and asparagus were salty and didn't taste very good. I threw most of them away. Not very tasty, unless you like a ton of salt on your food. 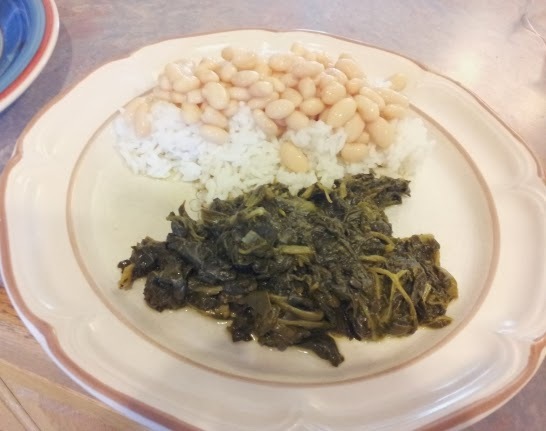 Canned great northern beans over rice and canned spinach. Both the beans and spinach were salty. Next week I'll make up my own beans. The canned stuff just ain't getting it. I'll be taking a break from the hack over the weekend and then back to it on Monday. This morning I weighed 176, BGL 97 mg/dL at 9am before 1st meal, BGL at 10am was 137 mg/dL, and at 11am BGL was at 80 mg/dL. BF on Omron handheld device was 12.9%. Here's what I ate yesterday. I ate 4 times. I ate a lot of food and I'm still down a half a pound. 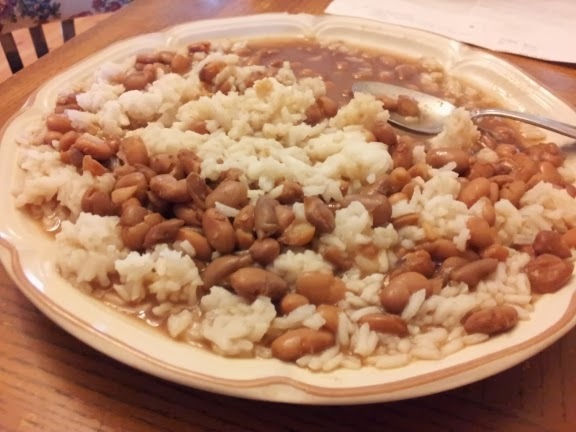 Pinto beans and rice for lunch. 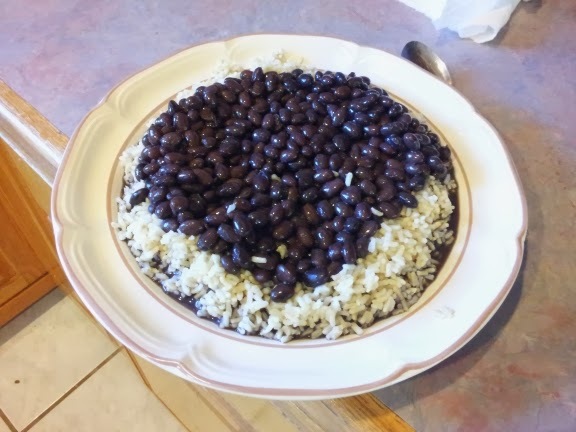 Black Beans and rice for supper. And a baked sweet potato for the 4th meal. I weighed in this morning at 176.5lbs. BGL was 92 mg/dL. 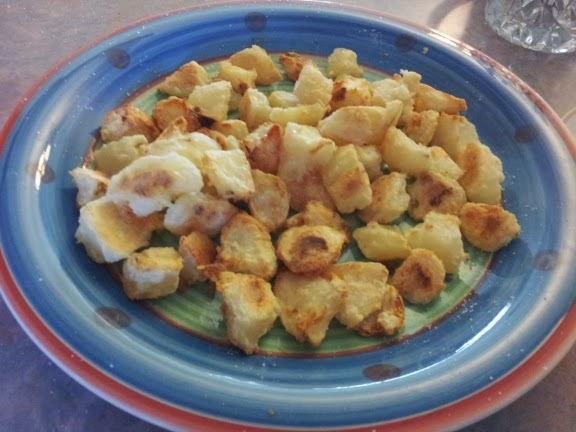 I used rice flour instead of wheat flour that the recipe calls for. They came out really brown crisp and delicious. 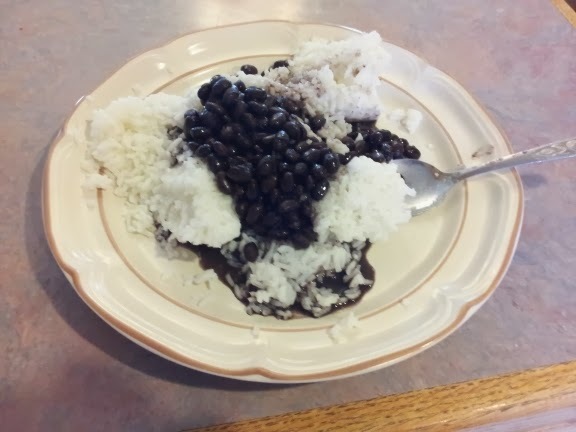 I also had a big plate of rice and beans. I actually had two plates of rices and beans this size yesterday. My weight this morning was 177lbs. Fasting BGL was 97mg/dL. My weight tracking software gave me another warning this morning. I promise I will slow down when I reach my goal. 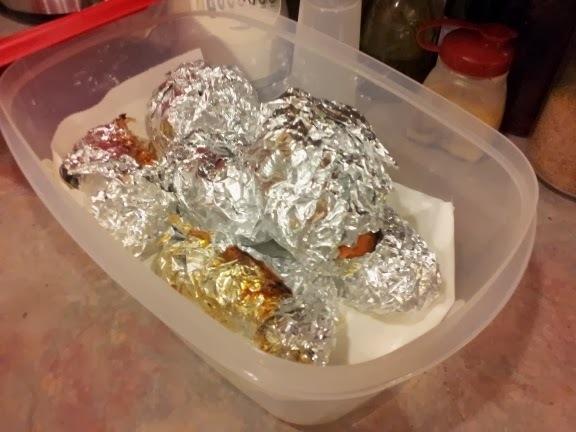 I'll be doing the potato hack this week. I did good over the weekend and only added a half pound back on. I weighed 179 this morning. BGL was at 110 on rising. 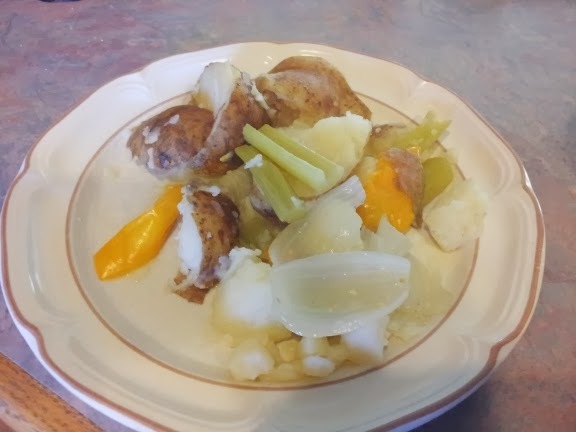 Yesterday I cooked up 5lb of potatoes with onions, celery, peppers, and garlic. I had it for breakfast this morning. 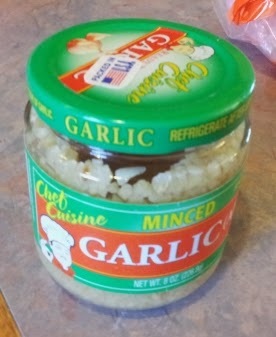 The minced garlic I used. 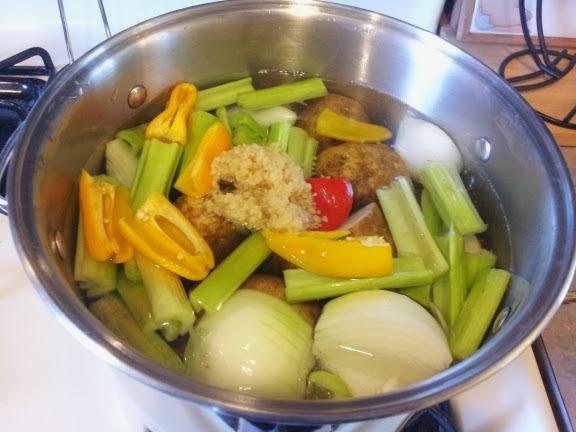 The vegetables in a pot. On the plate. I add some cholula hot sauce after the picture. 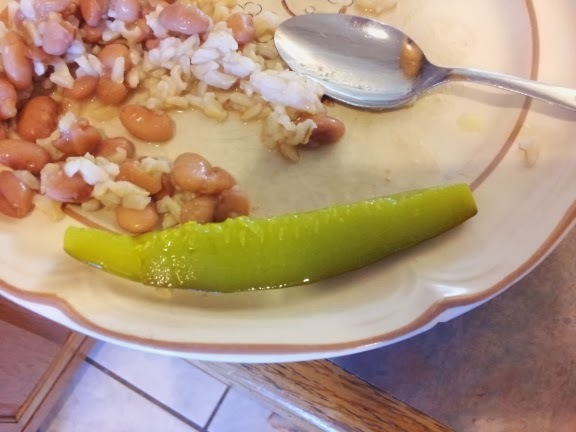 I had beans and rice the rest of the day with pickles and some sweet peppers. My goal by Friday morning is 174lbs. I was on the potato hack most of yesterday . Last night we had dinner at El Charro's. I had the Pollo Bravo, chips, guacamole, queso, and a couple of Michelob Ultras. This morning my weight was 180.5lbs. BGL was 81 this morning. I forgot to take pictures of my El Charro's meal, but here is pictures of the rest of my food. 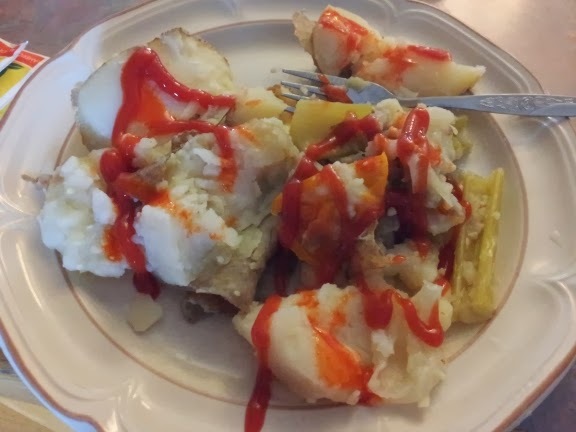 Breakfast was boiled potatoes with ketchup and hot sauce. 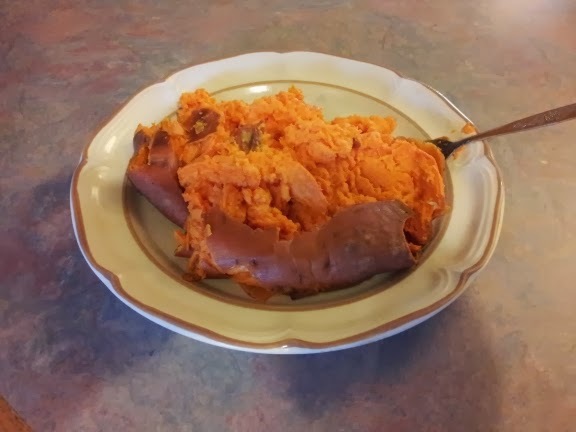 A small bowl of leftover sweet potatoes for dessert. These were good. Not too spicy. 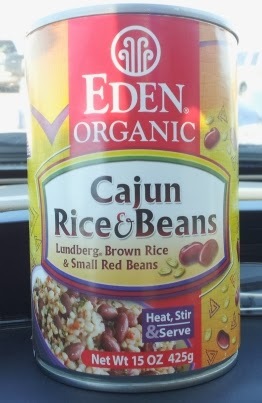 I had some of these to add a little more spice to the meal. This is the ketchup I've been using. 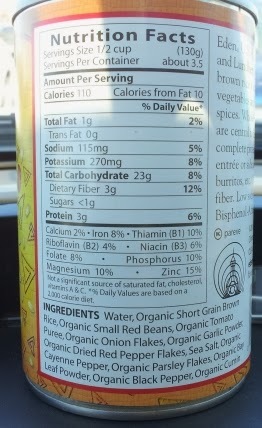 It has sugar instead of High Fructose Corn Syrup (HFCS). Sucrose and fructose are processed differently. Sucrose is about 50% fructose of course. Even though sucrose and fructose are both sugars they get handled differently during digestion and metabolism. 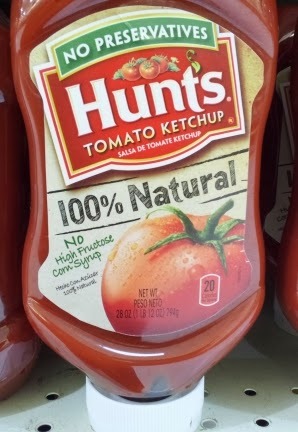 I bought this ketchup today. 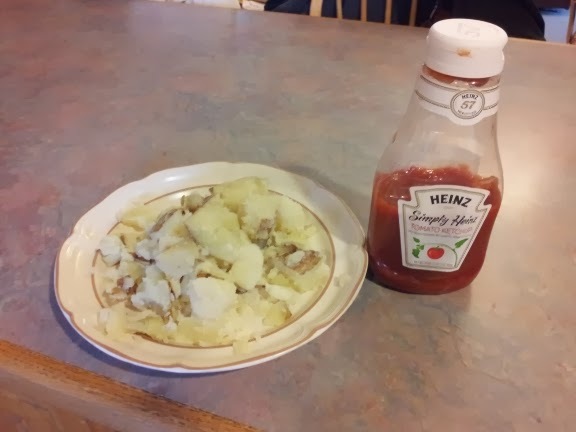 I like Heinz ketchup. I have completed 4 days on the potato hack. Should we call it the potato cleanse? Would that make it more attractive? 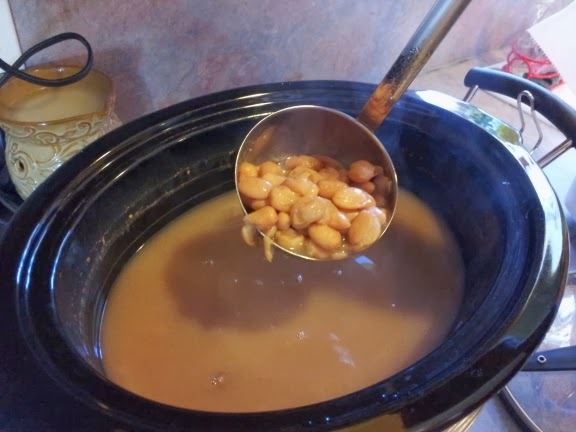 How about the potatoe, bean, and rice cleanse? I bet Dr. Oz would even put it on his show if we called it a cleanse. But I digress. 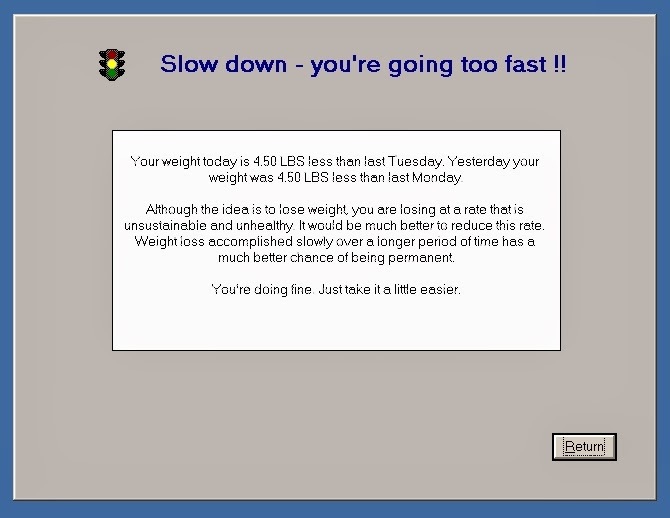 My weight tracking software is telling me to slow down. I might slow it down tonight at El Charro's with some fajitas. 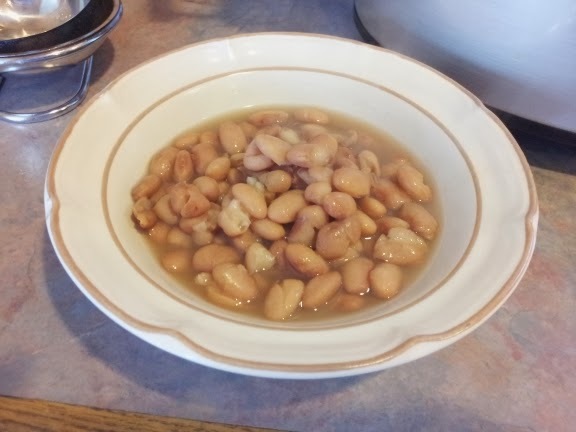 Pinto beans and rice for breakfast. 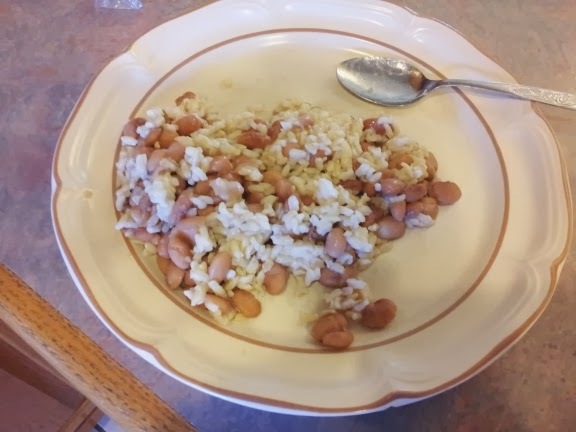 2 cups of rice and a can of pinto beans. 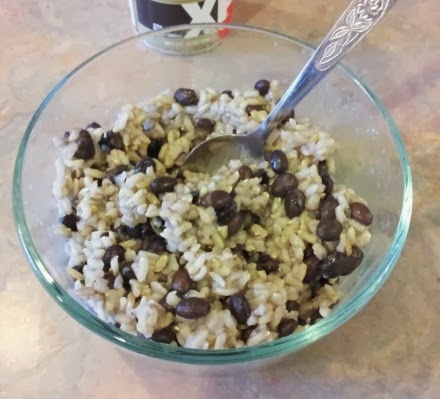 Mid-morning meal of black beans and rice. After noon meal from Reasor's. 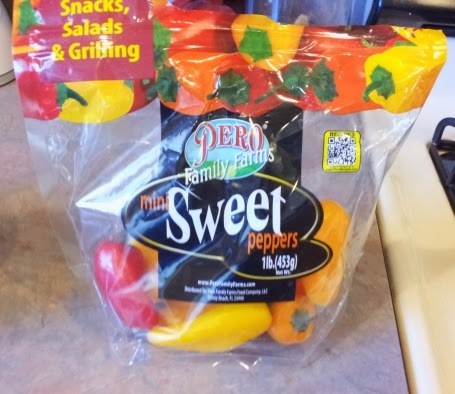 I can't say that I recommend these as far as taste goes, I didn't like the taste. But I was able to choke down the whole can. Evening meal above 1 1/2 before bedtime. 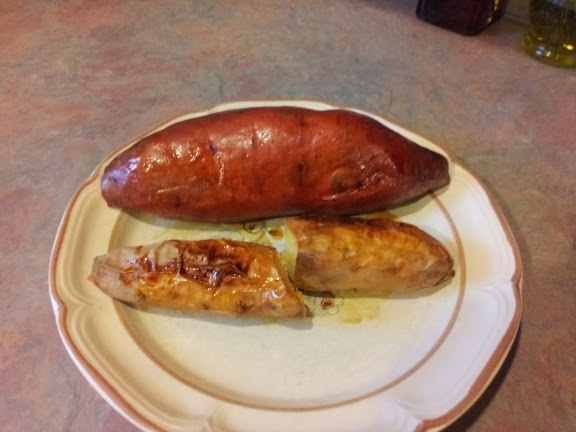 Baked sweet potato. Yum! My morning BGL was 104. It was 97 an hour after my large breakfast of beans and rice. I took a couple more readings yesterday and then were all in the normal range. I'm not diabetic, I'm taking the BGL levels to show that most of what you read about glycemic index in the media it hyperbole. I thought I should throw the supplements I take in case anyone was interested. 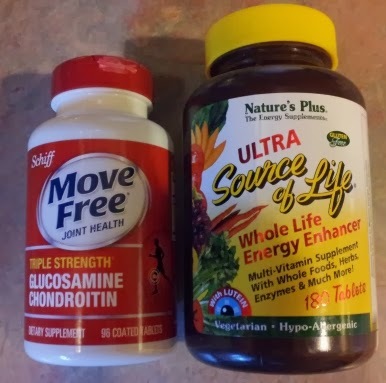 I take a multivitamin and glucosamine daily. 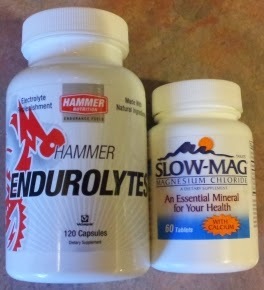 I sometimes take electrolyte and magnesium. 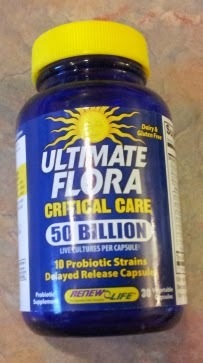 And I take a probiotic a couple times a week.